Vortex Gas Flow Meter Model MVF. The MVF series of Micro Flow vortex gas flow meters make use of our proprietary Micro Flow sensor, which has high sensitivity and quick response. 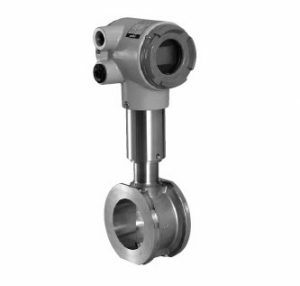 As a result, the MVF flow meters achieve a wide measurement range of 100:1. In addition, a temperature and pressure compensation is built in, so there is no need for a temperature sensor, pressure sensor, or compensation device, contributing to the reduction in total cost.